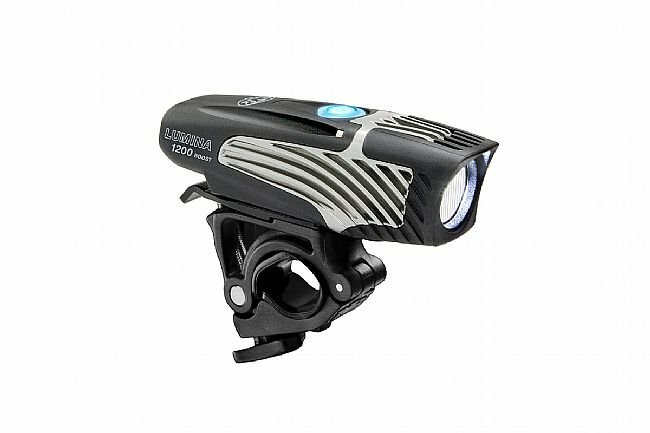 The NiteRider Lumina 1200 Boost provides enough light that it can be used in just about all riding conditions, whether it be on the road, on your favorite mountain biking trail, or hand-held in Walk Mode. 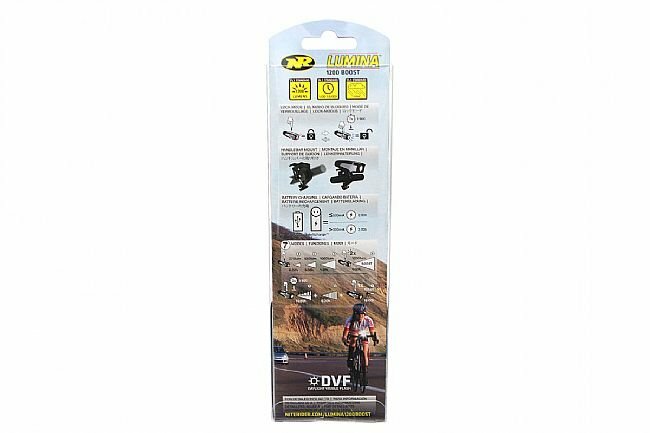 Specifically designed to meet the needs of riders in all cycling categories, the Lumina™ 1200 Boost features the Boost Mode light setting. Simply double click the power button, giving you the option to operate your light at maximum light output! And utilizing a CREE™ LED at 6000k, means you’ll get what most consider to be the best LEDs available on the market today. These high performance LEDs are extremely reliable, with no filament to break or burn out. With the all new custom engineered collimator optics, the Lumina™ 1200 Boost projects a beam pattern that provides a generous widespread and even beam pattern of 1200 brilliant lumens! 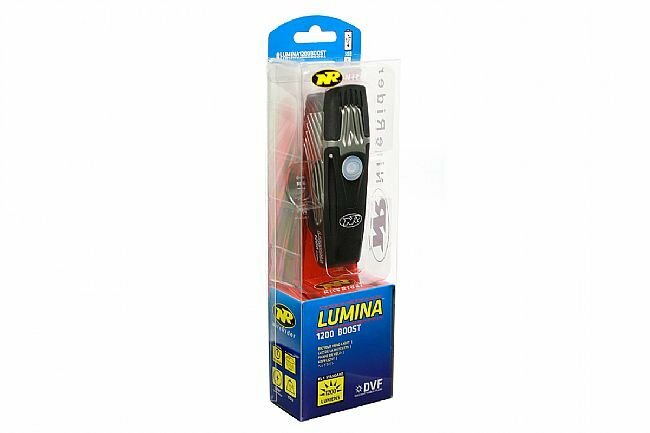 The high-strength head light body casing is comprised of lightweight aluminum and Dupont® Fiberglass reinforced nylon that is highly durable. All new Collimator Lens, distributes a generous even widespread beam pattern. Boost Mode, double tap power button to unleash maximum LED output at 1200 lumens. 5 light levels plus 1 daylight flash mode. FL1 Standard IP64, dust- and water-resistant. Secure on and off-road capable handlebar mount. IntelliCharge™ reduces charge time in half.